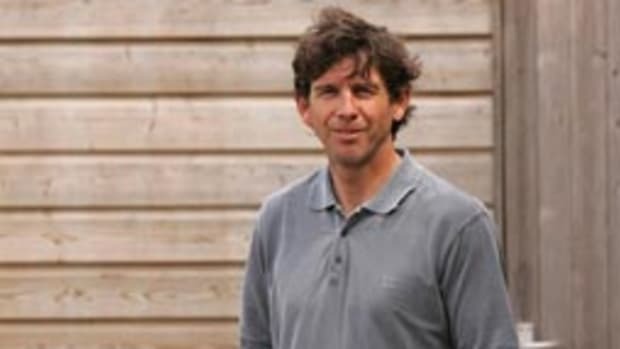 Brian Thompson, one of the 14 crewmembers on Banque Populaire V, the new Jules Verne Trophy holder, is the first British sailor to complete four non-stop racing circumnavigations. That would be enough for most people, but the 50-year-old says he’s good for two more laps around the world. Still on Thompson’s bucket list: November’s non-stop solo Vendee Globe race around the world — the “Everest of Sailing” — on a 60-foot monohull (he still needs a sponsor), and then in 2013 a solo, non-stop around-the-world sprint on a 105-foot trimaran to challenge the solo around-the-world record. 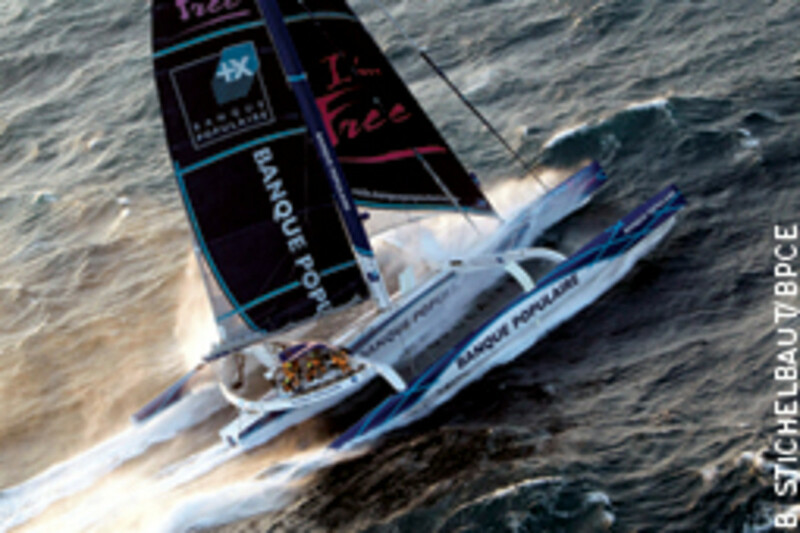 Thompson was a helmsman and trimmer on Loick Peyron’s Banque Populaire, which finished a record-setting sprint around the world on Jan. 6 in 45 days, 13 hours, 42 minutes, 53 seconds — 2 days, 18 hours, 1 minute and 59 seconds faster than the previous record, which Franck Cammas’ Groupama 3 set in 2010. 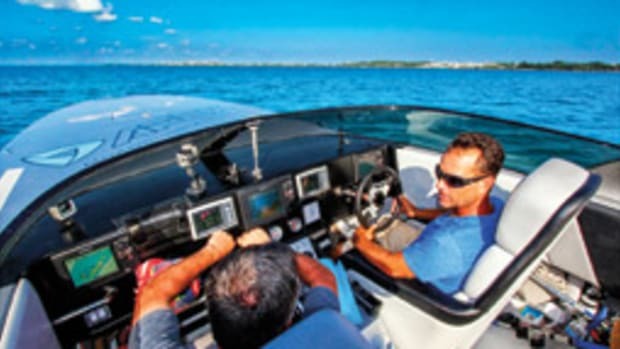 Banque Populaire reported covering 29,002 miles at an average speed of 26.51 knots and posted a top speed of 48 knots. The World Sailing Speed Record Council, which ratifies records and calculates the round-the-world distance as a perfect sphere, reported the distance covered as 24,857 miles at an average speed of 19.75 knots. In either case, the boat was very fast, the racing “very high-stress,” Thompson says. “All the way around, you’re pushing the boat to the edge, always with the risk of capsizing or damaging something” and ending the quest prematurely. Starting Nov. 22 from the English Channel between France’s Ushant and Britain’s Lizard Point, Banque Populaire raced for the Equator on a 30-knot northerly, arriving there 20 minutes ahead of Groupama 3’s pace two years earlier and entering the Indian Ocean south of the Cape of Good Hope in 12 days — three full days ahead of the previous record-holder. “We kept that three-day lead to Australia,” Thompson says. 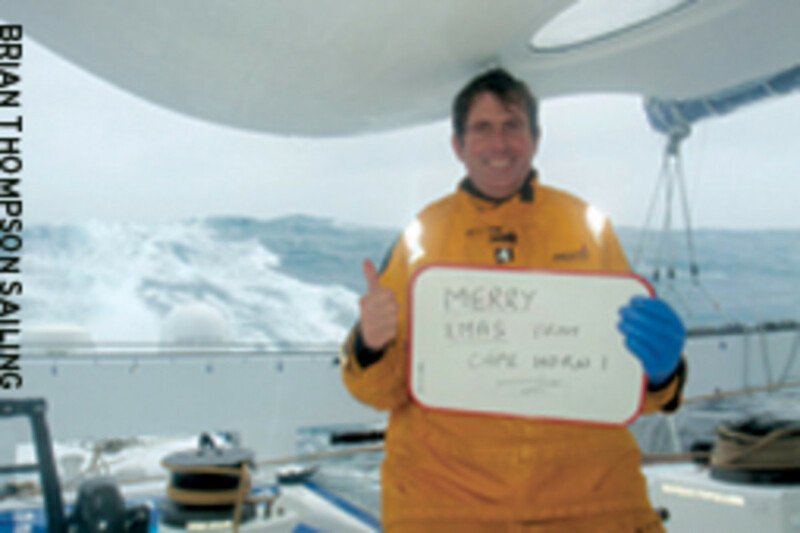 The crew lost time in the ice-packed waters racing for Cape Horn. 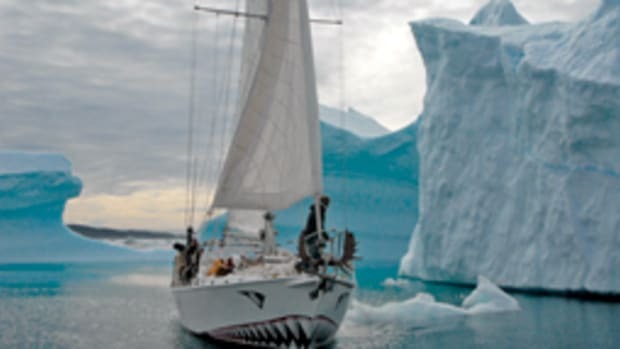 They had to push north — increasing their mileage — slow down and pick their way through dangerous ice fields, and sail around a high-pressure ridge of no wind, which “cost us a bit of time,” Thompson says. But the boat made up some time in the Atlantic as the crew headed for home. Peyron, their skipper, was “fantastic, extremely experienced and competent; a very, very good people person; a good leader — always in a positive mood. 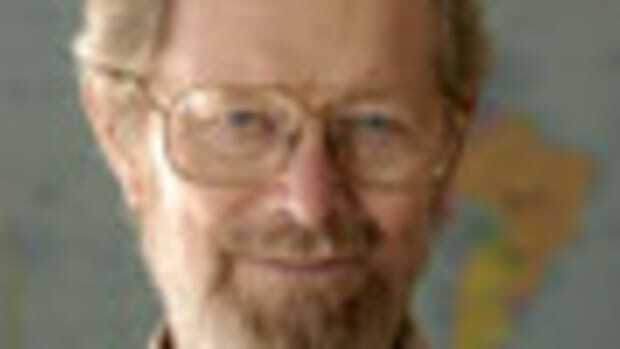 He made the whole team happy,” Thompson says. The leader was “very focused” on the record, but also very good at balancing speed against the risk of breaking something by going too fast. Thompson says he knew he was sailing with a “fantastic crew and on a great boat,” so he was primed to win the Jules Verne, but he also knew that one small breakage, a chance run-in with debris or a long spate of bad weather could turn the tide against them. 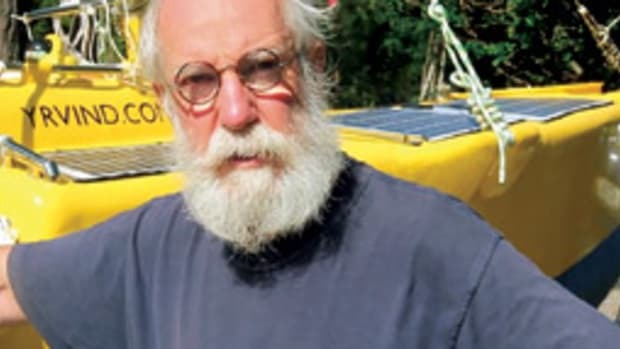 In 1993, Peyron’s older brother Bruno and three crewmembers sailed the 85-foot catamaran Commodore Explorer around the world in 79 days, a day shy of the time it took Phileas Fogg to circle the world by train and steamboat in Jules Verne’s novel “Around the World in Eighty Days.” The feat won Bruno Peyron and crew the first Jules Verne Trophy for the fastest circumnavigation by any kind of yacht propelled by the forces of the wind and crew in less than 80 days. He reclaimed the trophy in May 2002 aboard the maxi-catamaran Orange, sailing around the world in 64 days, 8 hours, 37 minutes and 24 seconds. During a lifetime of sailing, Thompson has broken 27 World Sailing Speed Record Council race records either on his own or as a crewmember — more than any living sailor he knows of. 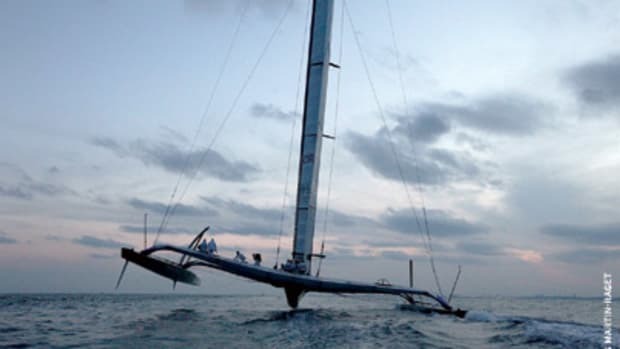 He broke his first round-the-world speed record on Steve Fossett’s 125-foot catamaran Cheyenne (formerly PlayStation) in 2004 and skippered the catamaran Doha in Tracy Edwards’ Oryx Quest round-the-world race in 2006. He completed a third non-stop circumnavigation in the Vendee Globe 2009, single-handing to fifth place on the 60-foot Bahrain Team Pindar.